Michael Skeans joined Western Sugar Cooperative in 2015 as Vice President of Operations and transitioned to Vice President of Engineering and Packaging in 2017. Before joining Western Sugar Cooperative, he served as director of manufacturing for Sensory Effects where he was responsible for operations at multiple sites and product groups. 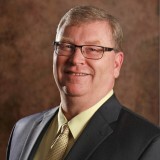 Mr. Skeans started his career with Bunge North America where he worked for 27 years as regional director of operations, plant manager, engineering superintendent, and supervisor. He earned a Bachelor’s of Science degree in electrical engineering from the university of Toledo and Master of Business Administration from Indiana Wesleyan University.